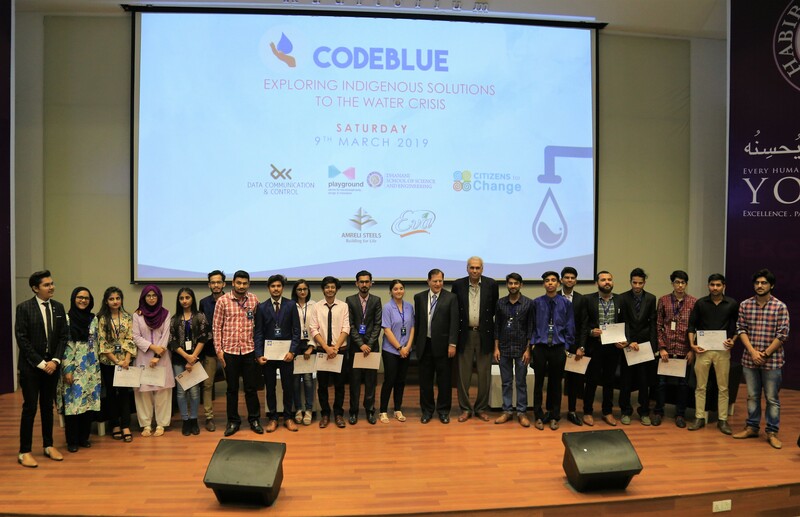 Habib University on March 9, 2019, hosted the CodeBlue Conference, an initiative that aimed to provide a forum where concerned citizens could foster meaningful discussions on ways to improve the current water crisis that is afflicting Pakistan. 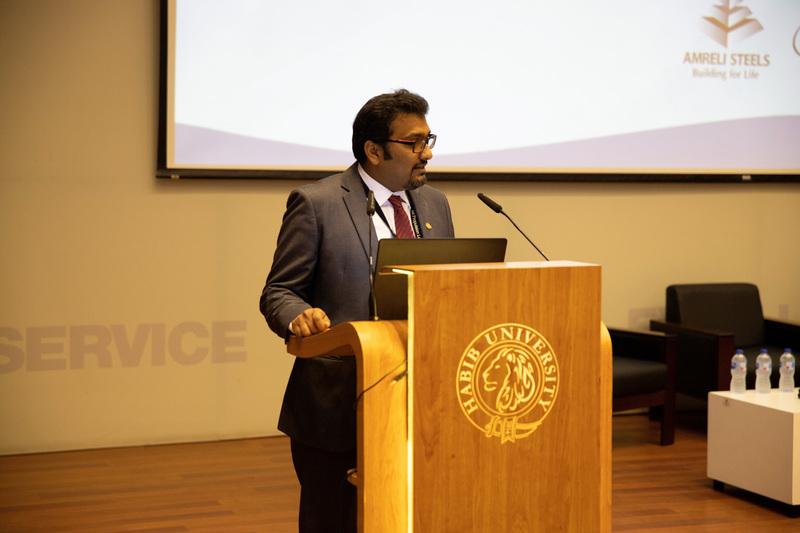 Distinguished speakers from diverse backgrounds including engineering, social sciences, politics, the legal fraternity and science and architecture gathered at the University where they shared ideas and held discussions with the aim of inspiring decision-makers to act on this pressing issue. Sponsored by Habib University’s Dhanani School of Science and Engineering (DSSE), Playground and other organizations, including Citizens for Change, the conference included interactive panel discussions, workshops, Q&A sessions, presentations and demonstrations where participants debated ways to improve the water issue as well as consumption practices. Speaking at the opening ceremony in the H.M Habib Auditorium, Assistant Dean, DSSE and Director Playground, Dr Anzar Khaliq said that, “the issue of water affects not only Pakistan but the rest of the planet.” He spoke about the importance of understanding the issue, urging people to raise awareness that the world is going through a severe water crisis. Dr. Anzar said that Habib University understood that Pakistan’s biggest resource was its people and that it was providing this important platform for individuals from diverse backgrounds to come together and make a difference. This was a sentiment echoed by Mr. Samir Hoodbhoy, CEO of Data Communications & Control (Pvt) Ltd., who was also one of the conference conveners. 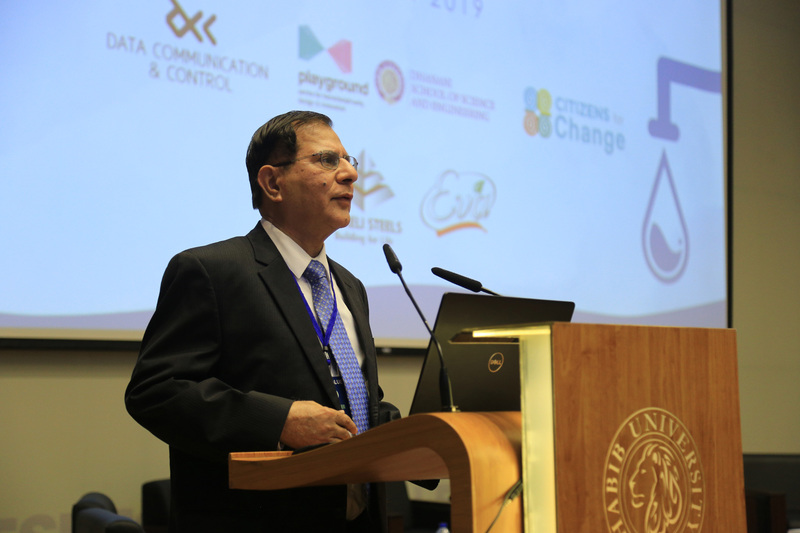 Mr. Hoodbhoy praised Habib University, calling it “the Harvard of Pakistan…it’s a synergy of Liberal Arts and Science.” He said that a proactive approach to solving the water crisis in Pakistan is the need of the hour and that intelligent use of water can only be done through science and technology. Former Supreme Court judge Justice (retd) Wajihuddin Ahmad, while speaking at the conference, gave a legal perspective on the water crisis. Giving examples from the Constitution of Pakistan and court cases he said that access to water was a fundamental right for the citizens of this country. Justice (retd) Wajihuddin said that events such as CodeBlue help raise awareness amongst the public about their fundamental rights. He also said that such an esteemed gathering needed to help citizens of this country realize that, “current methods of water conservation are ineffective and not economical” in the long term. Other prominent speakers at the opening ceremony included Mr. Rafey Ahmed Siddiqui, an engineer who has worked on planning and design of water resources development, and Dr. Erum Sattar, Visiting Fellow at Harvard Law School who spoke on Pakistan’s Lifeline: Management and Regulations of Indus Water. During her talk, she spoke about the Colorado Basin in the US and the Indus River Basin and how the two terrains are similar regarding water allocation. 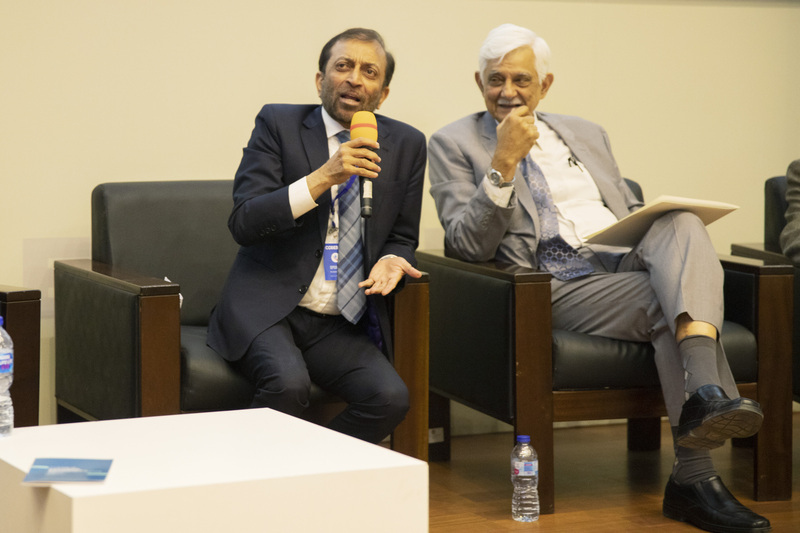 The opening ceremony was followed by a lively panel discussion that included prominent individuals, including former MNA Dr. Farooq Sattar and former Senator Taj Haider, who spoke on how previous attempts to tackle the water crisis had fallen short and what needs to be done in the future. Later on, four breakout sessions were simultaneously held at the playground. These sessions revolved around the topics of ‘Water Infrastructure and Technology’, ‘Urban Water Management and Distribution’, ‘Waste Water Management’, and ‘Creativity Awareness on Conservation’. In each of these sessions, three to four experts engaged in vibrant discussions on resolving outstanding issues related to the water crisis. All the participants debated the water crisis issue and put forward their own suggestions as to the best course of action to be taken. 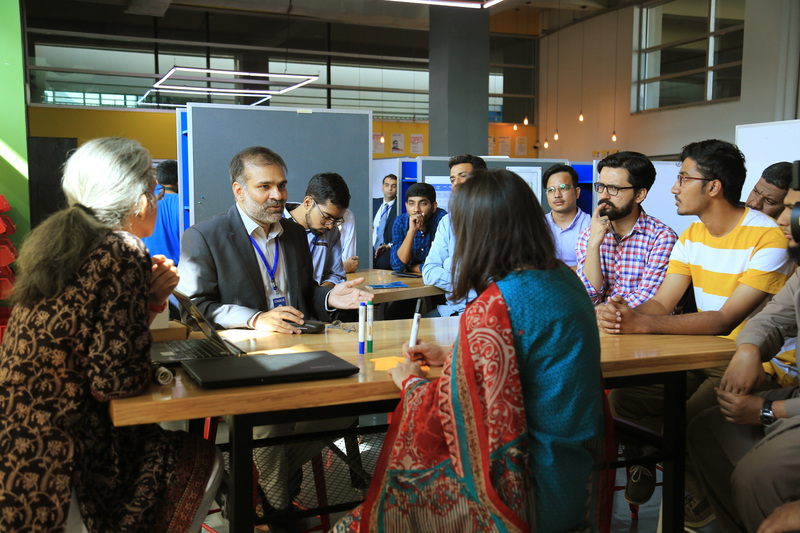 In the final session, speakers summarized the day’s events and spoke about the need to inspire decision makers and the wider community to take action in reshaping the water policy and solution making culture in Pakistan. They agreed that water scarcity requires a well-planned infrastructure and that citizens need to look towards other sustainable alternatives of generating clean water as well as changing our current water consumption practices.